(March 11, 1814 – March 30, 1885) Born in Casoria, near Naples, Arcangelo Palmentieri was a cabinet-maker before entering the Friars Minor in 1832, taking the name Ludovico. After his ordination five years later, he taught chemistry, physics, and mathematics to younger members of his province for several years. In 1847, he had a mystical experience which he later described as a cleansing. After that, he dedicated his life to the poor and the infirm, establishing a dispensary for the poor, two schools for African children, an institute for the children of nobility, as well as an institution for orphans, the deaf, and the speechless, and other institutes for the blind, elderly, and for travelers. In addition to an infirmary for friars of his province, he began charitable institutes in Naples, Florence, and Assisi. He once said, “Christ’s love has wounded my heart.” This love prompted him to great acts of charity. To help continue these works of mercy, in 1859 he established the Gray Brothers, a religious community composed of men who formerly belonged to the Secular Franciscan Order. 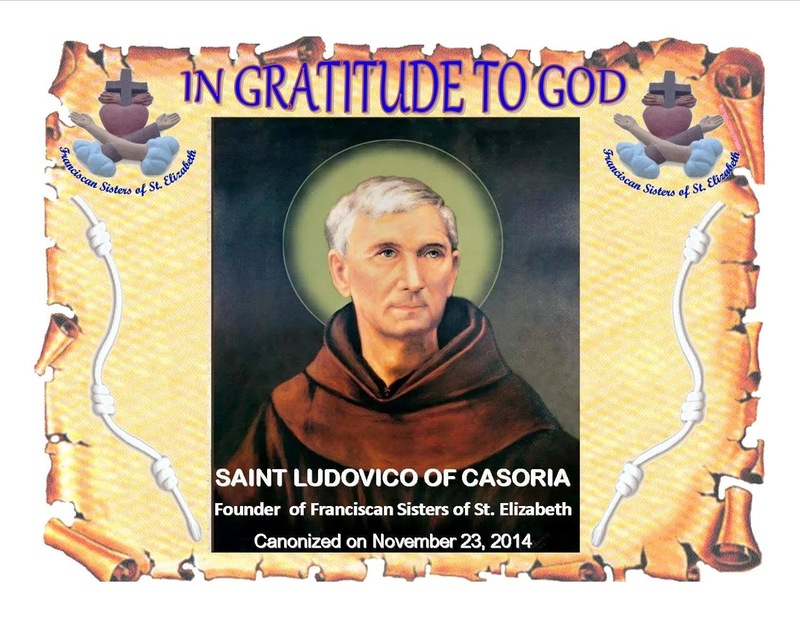 Three years later, he founded the Gray Sisters of St. Elizabeth for the same purpose. Toward the beginning of his final, nine-year illness, Ludovico wrote a spiritual testament which described faith as “light in the darkness, help in sickness, blessing in tribulations, paradise in the crucifixion, and life amid death.” The local work for his beatification began within five months of Ludovico’s death. He was beatified in 1993 and canonized in 2014.